While I’m not a big gamer, Square Enix has managed to make some awesome games, and among my favorites are the Kingdom Hearts series and Lightning Returns: Final Fantasy 13. During the Microsoft BUILD conference, the company, with the help of Windows 10 and NVidia, showed off a tech demo for DirectX 12. The demo is more or less a continuation of what we’ve seen before. 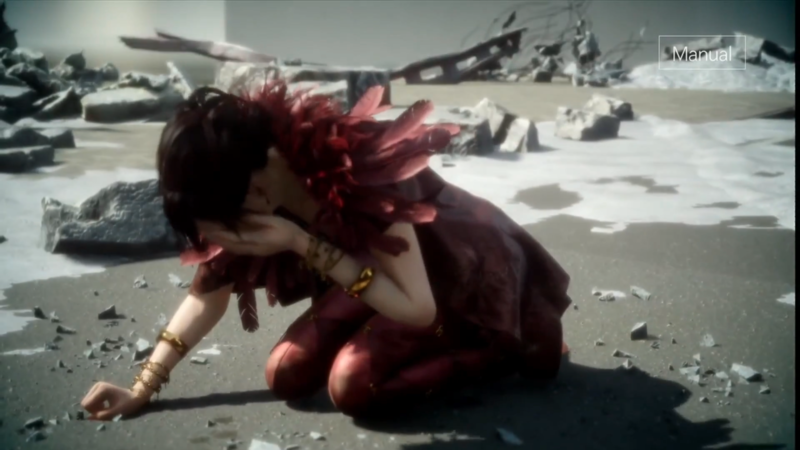 Titled WITCH – Chapter 0 [cry], it shows Agni, the protagonist from Square Enix’s previous tech demos, as she is kneeled over and crying in a seemingly wrecked building. There isn’t much context given, even with what we have seen in the previous demo, but that’s not really the point here. Just like in Agni’s Philosophy, we are shown real-time in-game footage and given the freedom to “roam” the scene, gliding through camera angles and adjusting the lighting. What’s impressive about this is that with DirectX 12, each scene features over 63 million polygons, which is noted as being “6 to 12 times more” that what’s currently possible with DX11. The video also highlights the textures in the hair and how each hair is being rendered as a polygon. This is just an example of what’s possible on Windows 10 with the support of Direct X 12, and certainly shows Microsoft’s commitment to gaming both on XBox One as well as the PC. Two New High End Lumias Revealed, Top End Specs!